Goodale Parking Garage — Tec Studio Inc.
Tec Studio completed the lighting design for the façade illumination of the new construction garage developed for the Greater Columbus Convention Center. 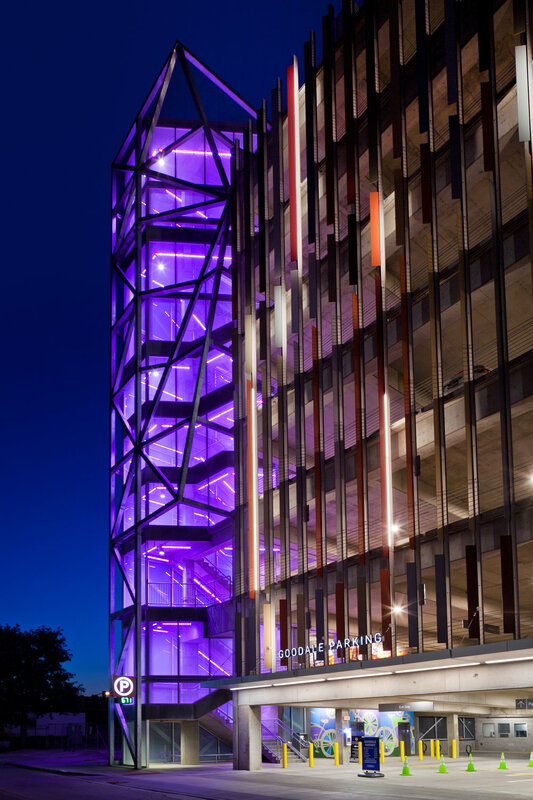 The eight story garage incorporates linear LED accent lighting to highlight the architectural fins. 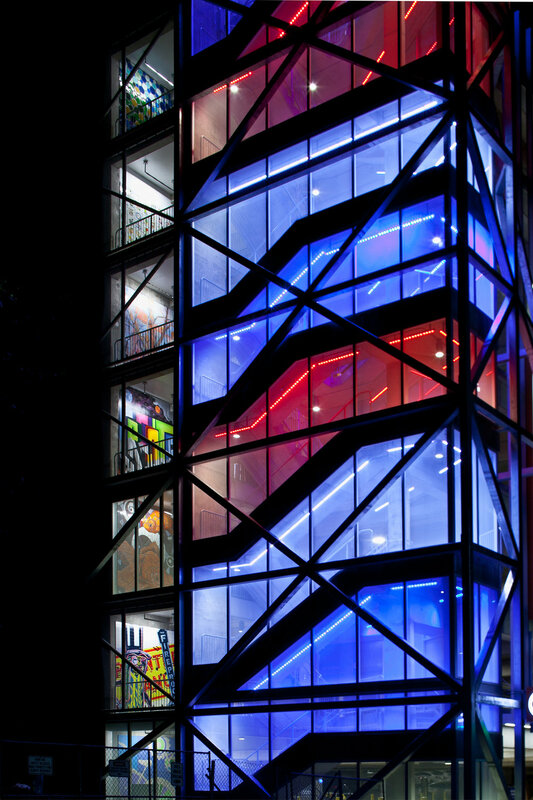 Dynamic color-changing lighting within the glass stair tower create a dramatic nighttime effect. Custom murals on each floor created by Central Ohio artists are illuminated in the stairwells. Tec Studio completed the Utility Rebate for the Owner which notes a 52% savings on the interior lighting and a 45% savings on the exterior compared to allowable lighting power.